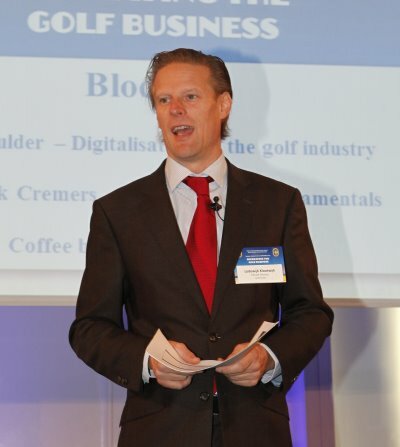 The February Interview: GBN.com talks to Lodewijk Klootwijk, Director of the European Golf Course Owners Association about the EGCOA’S current project, VISION 2020– a detailed research programme into the European Golf Industry to create a clear direction and roadmap for the future of the game. Lodewijk, you have been with EGCOA for around 10 years now. Over that time the Association has attracted a lot of new members and become a much more influential force in European Golf. What have been the drivers behind that success? The biggest driver is the huge interest that golf course owners have in the golf industry. They are the ones that invested millions into their facilities, so it is logical they have this invested interest. Golf course owners see more and more that their interests should be protected on a national and European level. Besides this, the growth of the game, sharing knowledge about how to run more efficient and profitable facilities are examples of areas where owners associations are active. EGCOA was formed in 2004 and one of the Association’s main aims was lobbying for tax and VAT changes across Europe. Is that still one of your main activities? Tax and VAT are still fully on the agenda and, indeed, not a short term goal. We have a very strong working group and good connection in Brussels. We know for sure that nothing will change for the good if we sit back and wait. We are continually monitoring and sharing what is happening with VAT and sport in the various countries across Europe. Have you been more successful with tax reform in some countries than in others? Holland, Sweden, Poland are some countries where VAT has been reduced on sport following the EU 6th Tax Directive. The economic and financial crisis has not made this an easy task. Before the crisis we had successes with lower VAT on golf in some countries; now, since governments need more money, it is much harder to persuade them. The founding fathers of EGCOA believed that golf course owners, despite their contribution to the growth of the game, were not getting a fair representation in golf’s corridors of power. Has that changed? I think this has indeed changed. The owners have also taken action themselves to grow the game. They play a respected role in many countries. Being part of a well-informed European umbrella network makes them more influential. The EGCOA has strong connections with most European golf organisations and suppliers and we are actively cooperating with all industry stakeholders to grow the game. The support of the NGCOA has been vital for the growth of EGCOA, hasn’t it? They have led by example and provided inspiration for the EGCOA since the start and we continue to have very strong ties with them. Our relationship has changed over the years into a more strategic partnership, helping each other now with discussions on a strategic level: tee time reservations is a good example of this. The US market is still more mature than ours and we can still learn a lot from their experience. We also work closely with Canadian NGCOA. The Portuguese Golf Course Owners have recently joined EGCOA. Which other countries do you hope/expect to follow them? With the recent joining of the Portuguese and Estonian golf course owners associations we have gained a significant insight into a developed tourist market and a developing market. We are very happy they both have joined. We continue to help countries start their own national owners association, but this takes time. Eastern Europe has many countries where we can grow. Ireland is the only western European country with an owners association that is not a member (yet). One of our aims is to provide tools and solutions to assist the national owners associations to grow. The annual EGCOA Conference is your ‘flagship event’. When will you be announcing the dates and venue for 2014? Thanks for your kind comment. We do see that the people who are the most forward thinking in the business join us each year. We hope to announce the 2014 location and dates in March. Five countries are interested in hosting the Conference this year. Have you got any changes of Conference format in mind? Yes we do, but we would like to announce them once we know where we will go. Engagement is the key word. What are the benefits for a golf course owner joining their national golf course owners association? There are direct benefits most of the time in savings, which is always important, but the biggest benefit to my mind is the opportunity to join a group of entrepreneurs who have the same aims and objectives. Through their membership owners can be influential and ‘create their own future’. Doing this together gives them a greater chance of a brighter future. The power, knowledge, and energy that a group of owners has is unlimited once it is opened. 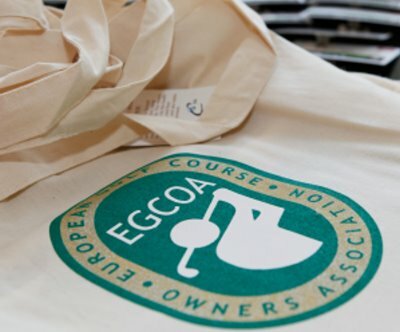 What are the benefits for a national golf course owners association joining EGCOA? Exactly the same reasons. Alone is alone, together we are strong, we can set a joint agenda, we can be influential and make a difference. The golf industry faces serious challenges which can be made into opportunities if we cooperate on all levels. For this an umbrella is needed and can help the nationals and also the golf course owners direct with the knowledge and influence we have. VISION2020 is conducting detailed research into the European Golf Industry. Why did the EGCOA feel the need to take on this project? The demand side of the golf industry has been changing over the last few years. And this is not only due to the recession. We see that the golf industry across Europe struggles to find the right answer to this changing market demand. For individual owners it is not so easy to make the changes whilst simultaneously running a business. With VISION2020 we want to engage with the owners and stakeholders across Europe to find the answers we need to change the industry together. What do you feel is the biggest challenge facing course owners across Europe? The biggest challenge is also our biggest opportunity. The golf industry does not seem to be able to hold on to new golfers. The retention rate of beginners is much too low, especially with the aging existing group of golfers. It is our biggest opportunity because the inflow of new golfers is still very healthy in most European countries. Increasing the retention rate would solve most problems for the golf industry. What do you believe to be the reason we are now facing these challenges? What role do you feel that golf course owners associations play in the future of the industry? What is your main priority for EGCOA over the next 12 months? The growth of the game. We hope VISION2020 will gives the industry enough inspiration to make the future for golf better. After VISION2020 we are going to focus to share the findings in an interactive way across the industry. Lodewijk, thank you very much.